A graph displaying the distribution of radii within any area of the surface. A numerical quality scale indicating the quality of the surface. 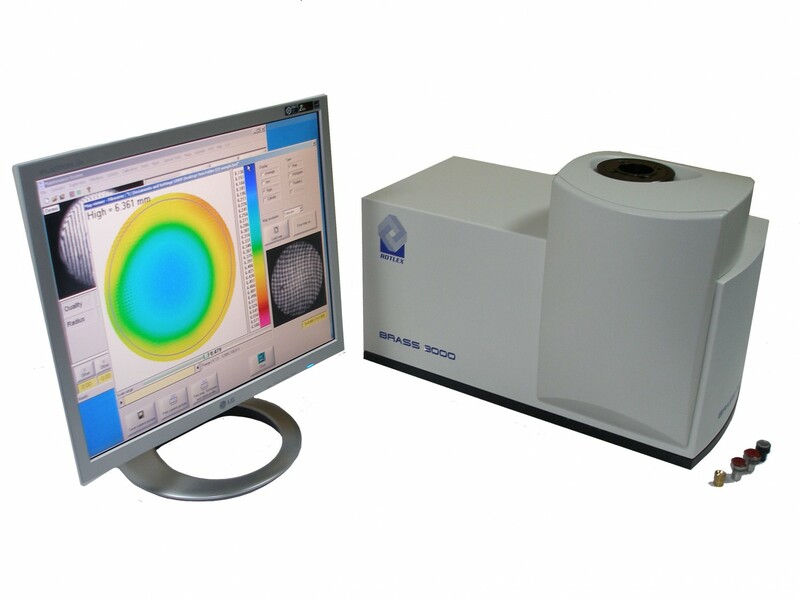 The Brass 2000 is the ultimate Radii analyzer for contact lens and IOL manufacturers, reaching unparallel accuracy and repeatability, at an affordable price. It eliminates the operator subjectivity present in previous measurement equipment. It can detect small defects not visible using other instruments. It is rugged enough to withstand a production environment. It can measure toric surfaces and residual toricity of spheric surfaces. BRASS 2000 friendly Windows 2000 interface provides two basic work environments: for R&D and experienced users, and Operator for production needs. All measurements are recorded in a log file. Accuracy: Better than 4 microns. Measurement Time: about 6 seconds (for spherical surfaces).